This is a build that goes beyond surface level. A build that has taken everything into consideration – even changing the nature of the GTR’s drivetrain. Thanks to Seyama’s precise mechanic abilities, the car has been performing flawlessly over the past year. Taking into consideration that Seyama had faced a plethora of mechanical issues leading up to the start of this season, the feeling of having a reliable car has revamped his spirits. It’s also allowed him to concentrate on areas of the car that he had been hesitant in developing himself; namely the aerodynamics. Seyama has spent his entire life working on Nissans, and at one point was even a mechanic for the Japanese car manufacturer. 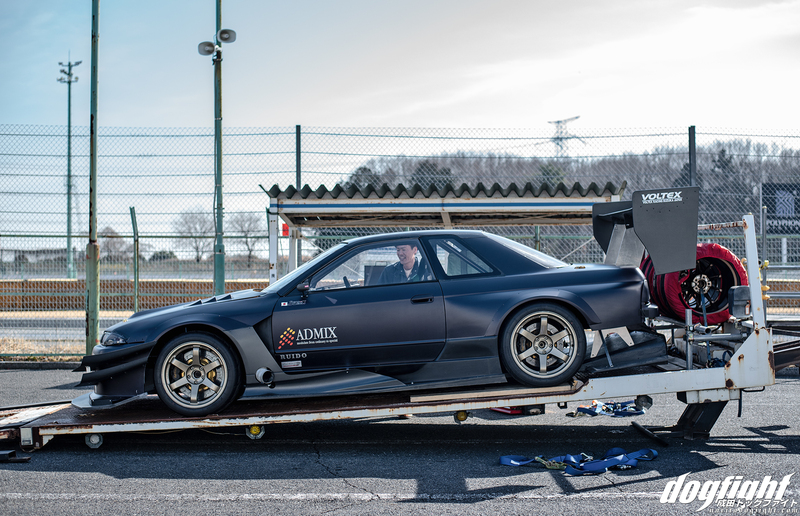 Having owned almost every performance-focused Nissan chassis in his life, there isn’t a Nissan build that Seyama isn’t proficient working on, and having Admix on board to help with the overall tuning of the car has been a large positive in the car’s development. However, at this level of driving, you have to be honest in your abilities. If there is an area of the car that you aren’t confident in working on, and there are experts readily available to assist, you’ve got to take advantage of what’s available outside of your skill set. With the car already running in the 54 second range around TC2000 (54.118 set in 2017), the only place left to find time was in the aerodynamics. 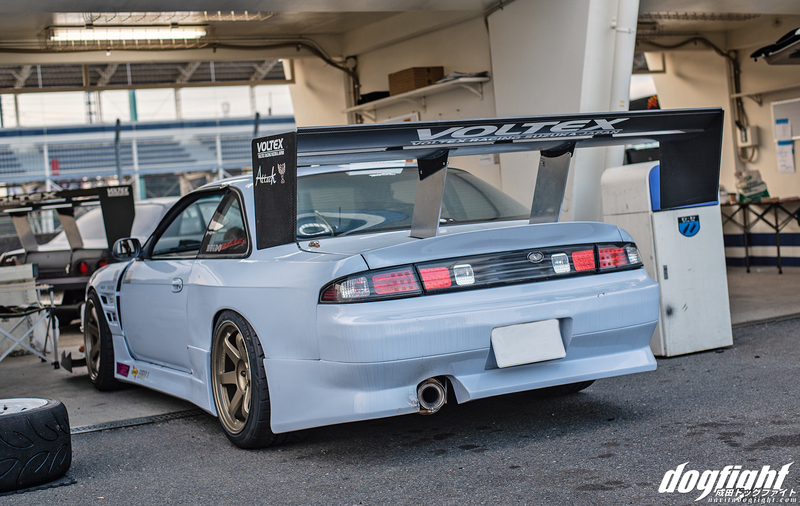 Seyama took the question of aero to Voltex, and the custom kit you see here was their answer. If you’re familiar with this build, you’ll remember that the car seemed to be deprived of a proper aerodynamic setup just a few years ago. Back in 2015 and 2016, Seyama didn’t particularly have a program in place other than simple bolt on parts. Choosing to extract as much as he could from the car mechanically before adding aerodynamic grip into the equation. It wasn’t until late 2017 that he started to work with Voltex no a proper setup; starting first with the front end. 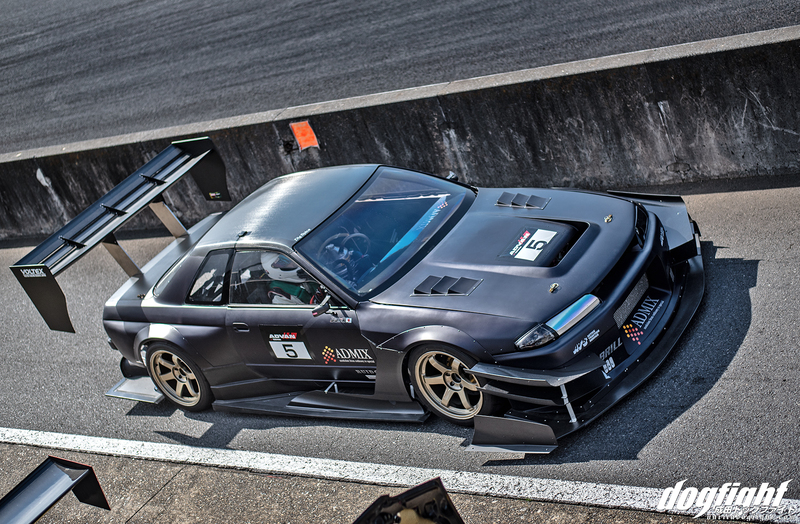 You’ll recall that in that year, at Attack Suzuka, Seyama unveiled the new front end provided by Voltex. It was the first part of a complete kit that would later be finished towards the end of 2018. The goal was to strike a balance between the front and rear downforce of the car that would improve average cornering speed. Initial testing went well, with his lap times showing promise of improvement in certain sectors that he was lacking in prior. Despite the the car now appearing very balanced and data alluding to the possibility of a faster car, the new aero was proving to be very difficult to manage. The car gets raised up for transport as the kit sits very low to the ground in race configuration. I’m actually surprised that it even fits on the narrow flatbed that he transports it on, albeit without a large portion of the front splitter. An early morning cold start during a test day at Tsukuba. The cold air becoming visible as the hot exhaust exits out the passenger fender. Seyama going through the tedious task of setting the cars suspension at the correct height. 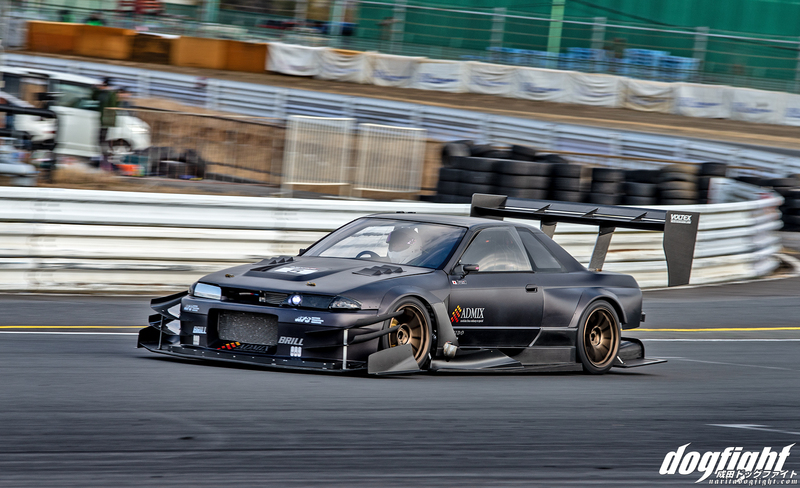 I know I usually do my best to keep the articles on this site devoid of opinion, but this car is without a doubt the best looking R32 in Japanese time attack at the moment. Just can’t help but express my love of this thing. 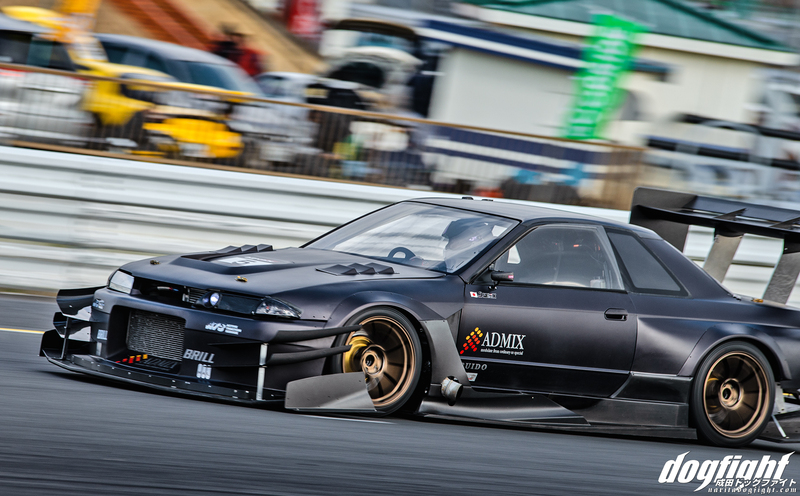 Leave it to Voltex to come up with a one-off kit for a car as old as the R32 and totally revamp the cars image. The day before Attack Tsukuba, Seyama was out on track trying to revise the suspension settings of the car to better suit the new downforces at play. The car had been experiencing an overwhelming rear end bias that was causing the car to understeer where it previously hadn’t had issues rotating. At this level of racing, aerodynamics plays an incredibly important role in providing adequate grip on track. 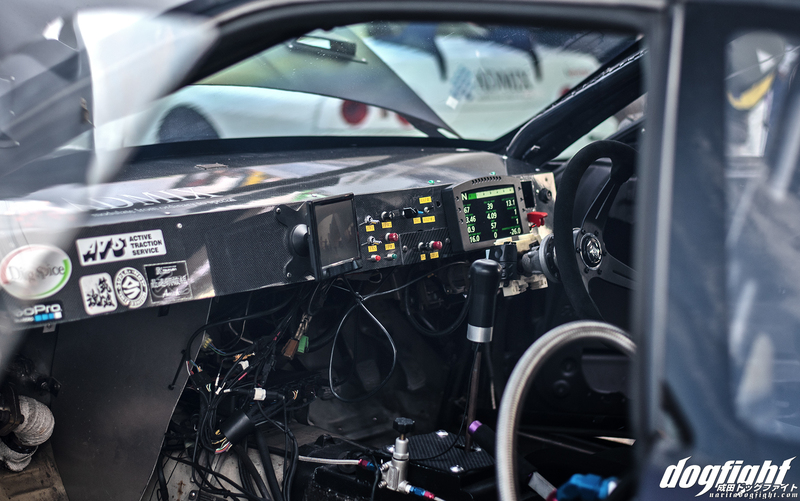 Seyama is confident in the car’s ability to run faster times with the new setup, but adjusting the settings to make the car handle ideally is going to take more than just feel. He has been passing data on to the engineers at Voltex and they’ve collectively decided that it is necessary to install additional stroke sensors on the suspension to monitor what the car does under various loads. Right now, much of their struggles comes from finding grip in the lower speed corners at Tsukuba. If the suspension they’re running is too stiff, finding traction in the hairpins is almost impossible. 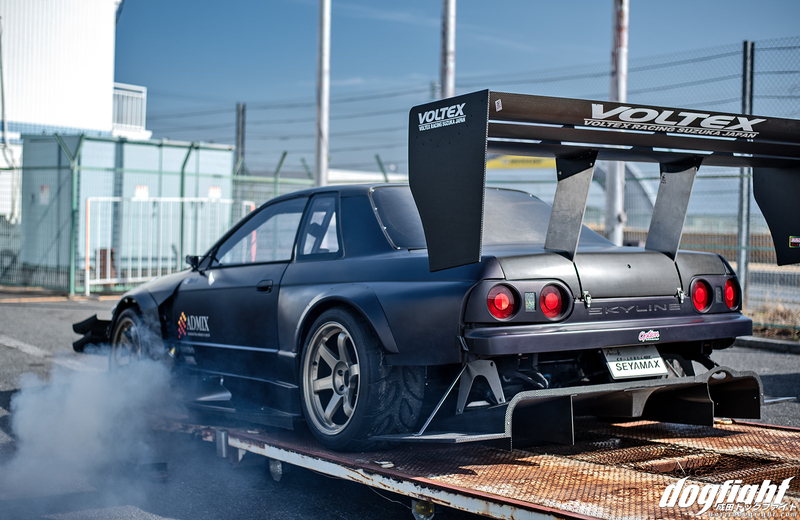 According to Voltex, maintaining the GTR’s optimal attitude is key to taking advantage to what the aero has to offer. 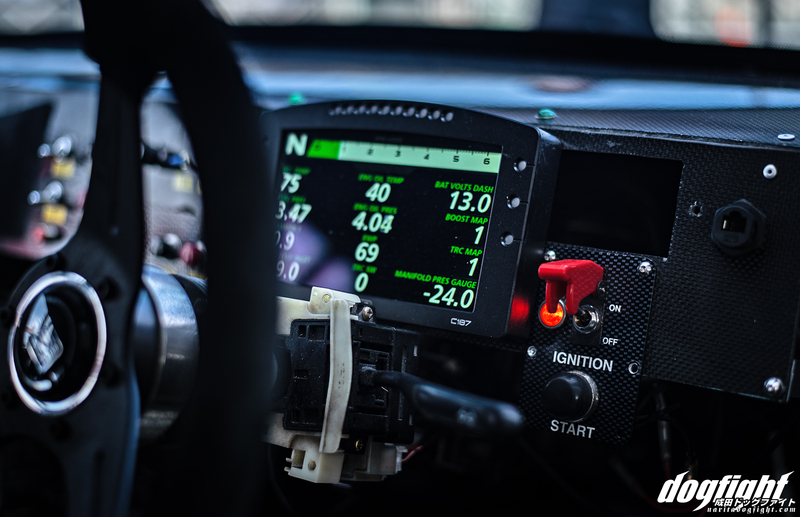 Once the car’s settings have been dialed in, the next step for Seyama is to start looking into traction control management to make up for the car’s final shortcomings. Having the car tuned with Motec opens a lot of doors electronically that they will have the ability to take advantage of in the future. 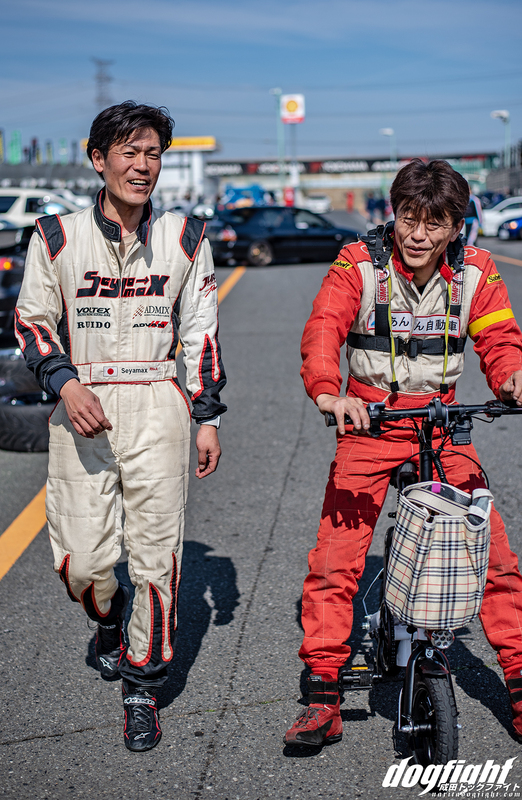 Seyama and the program he’s created for the GTR by teaming up with Admix and Voltex rides the fine line between grassroots time attack and pro-am racing. A lot of people still view Attack as a cursory event, but the fact is there is a large portion of the motorsport industry that revolves around this form of racing. Seyama’s advancement of this car is heavy proof of that. 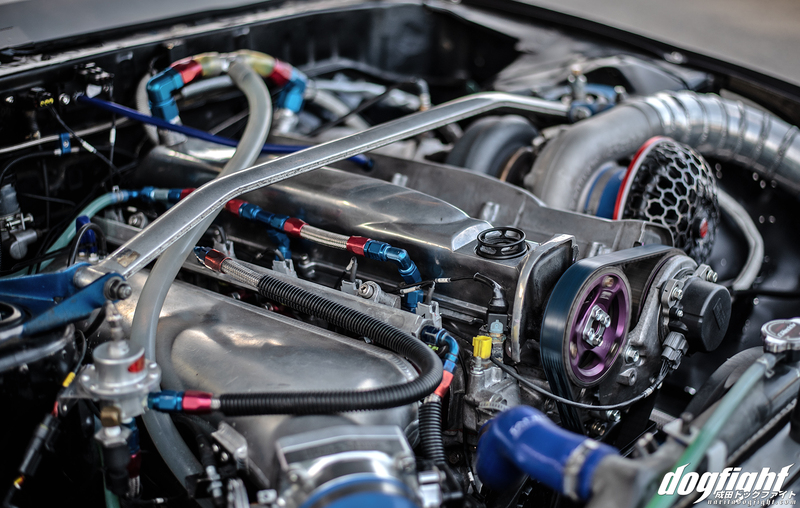 The engine setup, which is finally beginning to see some stability in performance, has been integral in allowing for Seyama with Admix and Voltex, to conduct proper aerodynamic testing. 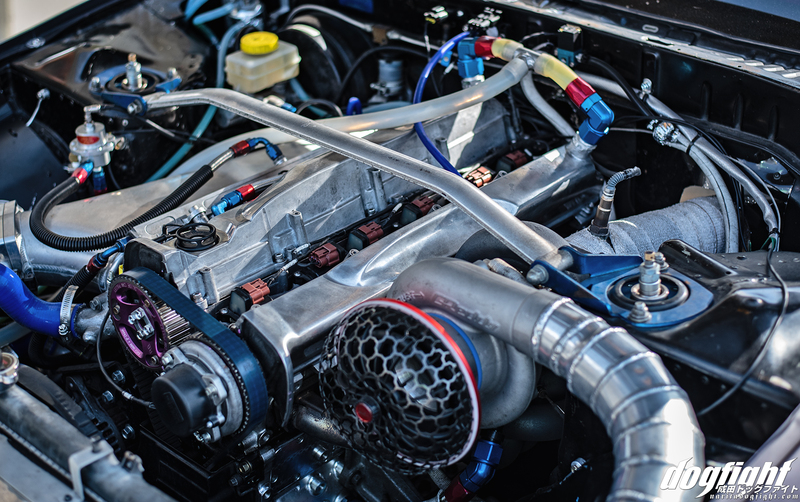 Staying out on track where data can be collected helps Voltex understand what’s happening faster; a reliable engine is crucial in this regard. An 800 horespower RB26DETT has been converted to a single turbine setup with a massive T88 which provides more than enough propulsion to the rear wheels to get the car moving. It’s a tried and true setup that has more than proven itself over the years. Seyama and Aoki having a discussion about how the car is feeling out on track. 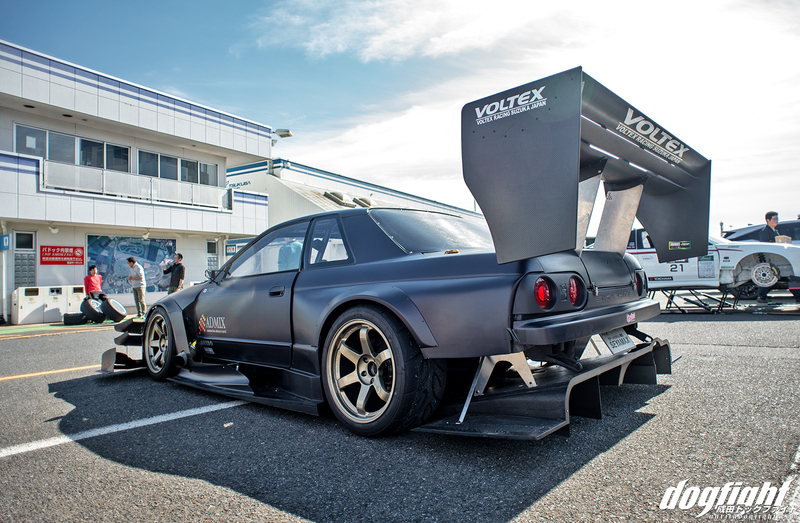 Among the most notable improvements from Voltex is the rear diffuser that integrates into the full undertray. As expected from the team, the car fell short of it’s best performance during the Attack Tsukuba event in February. The car was still off pace in comparison to it’s old setup. Seyama capitalized on his time spent on track though and was able to accumulate a good amount of data over the weekend. Data that he would compile with previous and future sessions on track all with the idea of balancing the car again. Not much has changed on the inside of the car; weight reduction is still the main focus on interior modifications. A carbon dash replaces the heavy OE unit, and the rest of the cabin has been stripped of everything non-essential. Motec C187 dash provides monitoring of all the car’s sensors; and you can see there are quite a few to keep an eye on. Having previously been tuned on HKS F-Con, the switch to Motec was a huge upgrade in the tuning department. Rear view camera is needed to give the driver a clear field of view behind him, as the rear window is a full carbon piece. 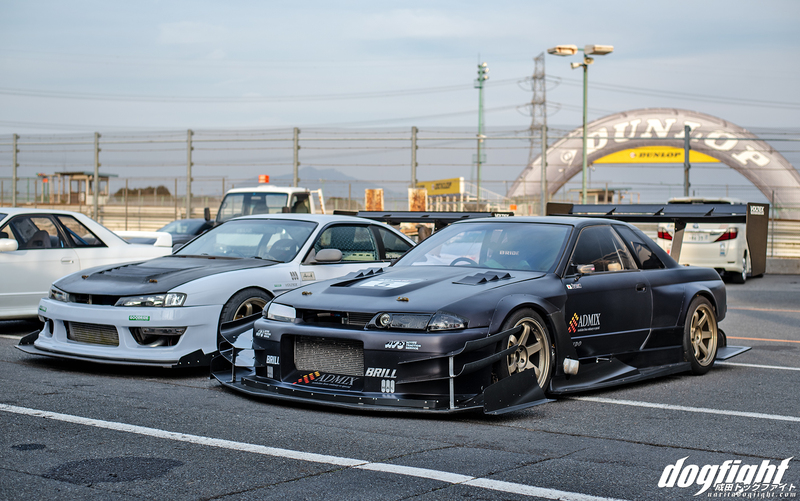 As if the GTR wasn’t enough, Seyama also drives his S14 as much as he can. Serving as more of a casual, fun drift/track car for him to enjoy when he’s not driving the GTR. 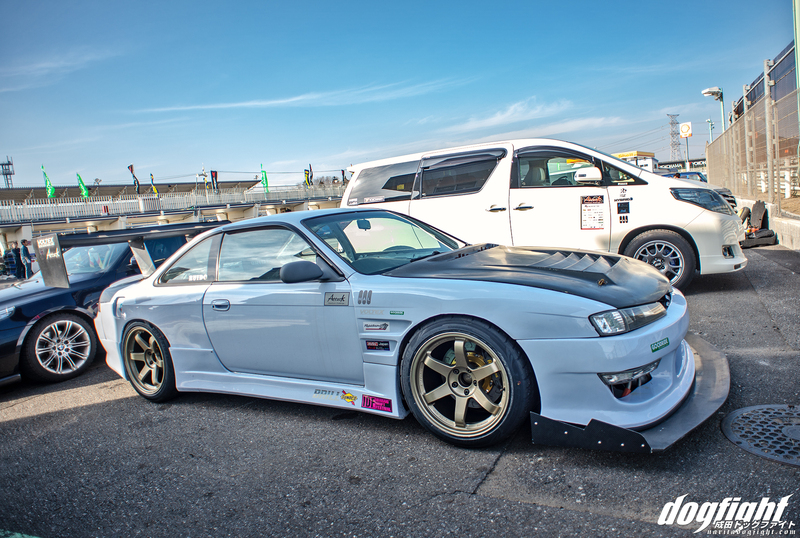 Seyama admits that the S14 isn’t specialized for time attack, and he built it literally with parts he took off or replaced on the GTR, but he still enjoys it nonetheless. This year he drove it in the Goodride Tires special session against a few other tuned cars utilizing Goodrides track tire. He wasn’t fast or anything, but running the car still makes him happy. 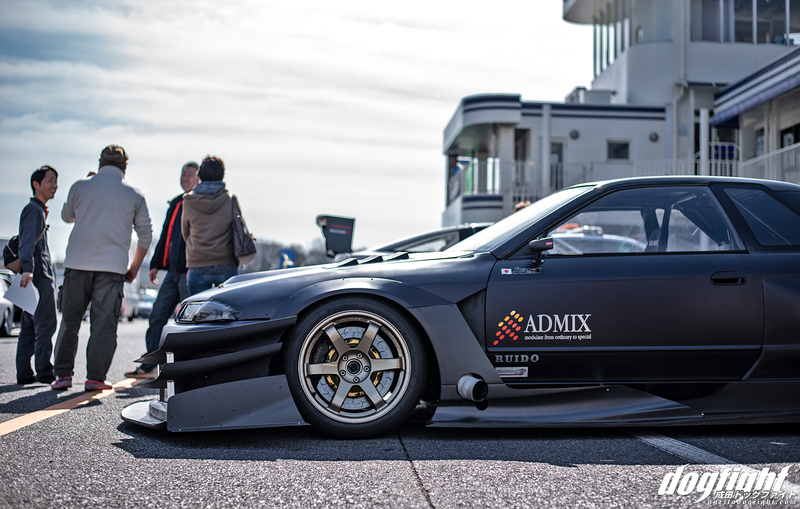 I have no doubts that with Seyama’s willingness to advance the car, and having the support of names like Admix and Voltex, that when the car does get dialed in, we’ll be looking at another top 5 competitor easily. 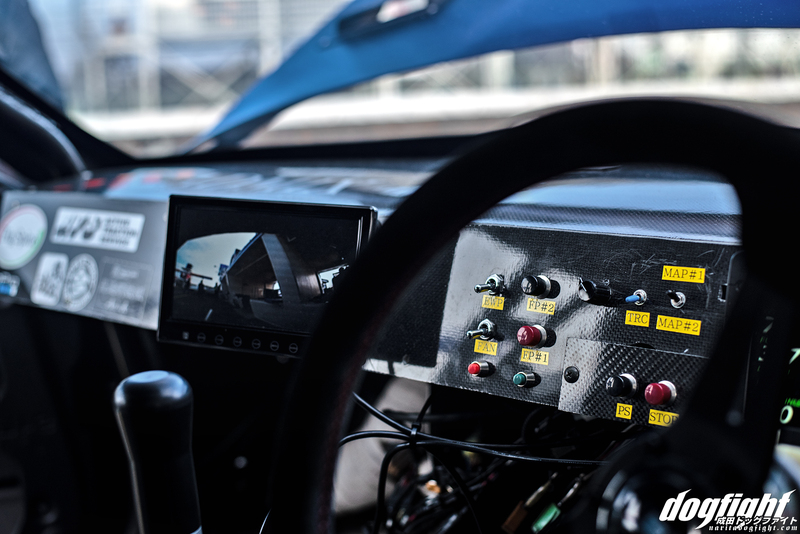 Below is an in-car video of Seyama’s fastest lap during February’s Attack event. He was able to pull off a 55 flat, which is nearly a full second off-pace. You can see some of the issues he’s fighting with if you watch carefully, although it may be hard to see. You can go back and compare his 54 second lap and easily see the differences – namely his Sector 3 times and entry into the final turn. That sounds! Like the GT cars with that transmission wine, Love it! Bet you dollars to donuts the front end is losing grip because there’s no kick up on the front of the splitter. You need to shape it like a spoon, so that the air flows smoothly into the underbody. Basically, he needs to radius the bottom front edge. Or he needs to get a properly designed front splitter.